Julius Slöör is the most prominent corkscrew manufacturer during the industrial era. The vintage corkscrews produced was called lightning. 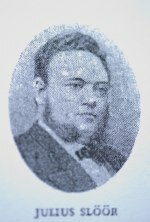 Julius Slöör was not a traditional inventor and entrepreneur as we know entrepreneurs of the industrial era. Julius Slöör's mission was in the area of wholesale ironmongers. Thus, by the end of the industrial era focus was shifted from production of items to the distribution of the very same items. This trendshift was imminent at the end of the 1800 century and certainly at the end of the industrial era. Julius Slöör was recognized as very knowledgeable and developed his business to be the one of the leading businesses in Stockholm, Sweden by that time. At the time many entrepreneurs were primarily manufacturers. Julius Slöör was somewhat the opposite, a distributer and merchant person. He was only 23 years of age when he started his company in 1858. The company was primarily a wholesale ironmonger and appliance business in Stockholm. The address was järntorget in Old Town, Stockholm. A free translation of järntorget is " Iron square ". Basically, he gave name to the square. His shop became an important part of the trade in old town by that time. Amongst his customers were smithy shops, farmers and seamen. Especially coastal trade seemed to have fascinated him. Customers all over Stockholm came to Julius Slöör for their weekly supply. The main way of distributing merchandise in those days was by means of horse power. 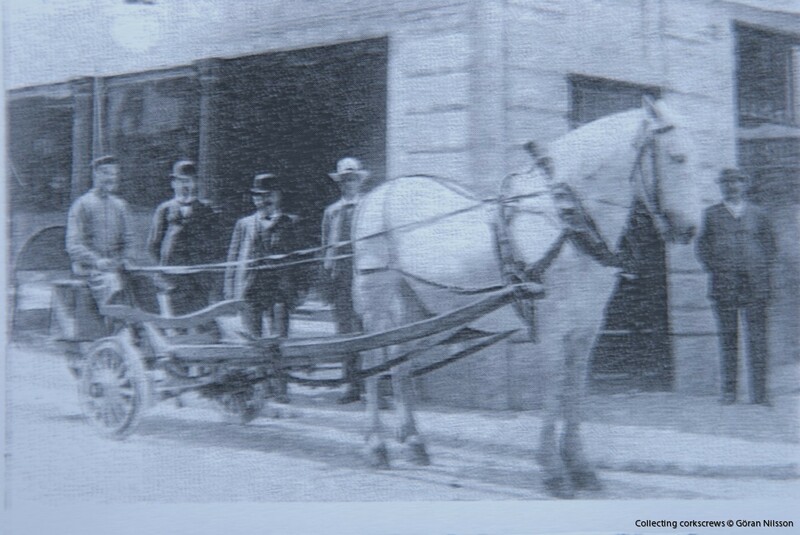 The day to day distributer was the horse " Frey ". Frey was a popular element in downtown Stockholm at the time. As common in those times persons and beloved animals were pictured together in the photos. The photo is taken 1907. To the right of the photo is director O.B Nordzell. Nordzell could be the man who invented the improvement from the first Qvarnström patent. This is speculation and is not confirmed, but highly likely. Nordzell is mentioned in the history books as an inventor and was granted numerous patents. The premises in Stockholm old town 1895. The company was emerging as a main ironmonger. The very same building in 2012. The Slöör premises in Stockholm old town is presently harboring a grocery store. Frey outside the Slöör shop, together with staff and Mr Nordzell. Sadly, Julius Slöör became seriously ill and passed away only 40 years old. When Julius Slöör died his brother Filip Slöör took over the business. Now, a new era emerged. This new era founded the famous corkscrew productions. Corkscrews were one of Filip Slöör's special hobbies and interests. The Slöör company produced some simple straight pulls but those were nothing for the history books. The direct pressure CS was their prominent CS. Although Julius Slöör's name is the trade mark of the direct pressure corkscrew, Julius was not the man who started producing and the distribution of the corkscrews. Clearly, Julius Slöör might not even been the inventor, more likely Mr Nordzell. The Slöör Company relied primarily on the patent by Qvarnström. Maybe the Slöör Company bought the patent or manufactured by means of a license arrangement. Some amendments were made to Qvarnström's patent. This second patent was issued in Julius Slöör's name. The patents were granted between 1892 and 1895, years after Julius Slöör's death. Probaly Mr Nordzell was the inventor. The " Lightning". A nice example of a Slöör direct pressure CS. Ca 1895. Patented. The trade mark on the handle. Julius Slöör, Stockholm. As mentioned earlier, the directs pressure corkscrew was named " The lightning". To the right is a copy of the original advertising. This ad was early smart marketing since the overall PR and packaging message would be the " Simplification of withdrawing the cork ". The " lightning " was patented in England, Germany as well as in the US amongst other countries. The corkscrew came with a replaceable speed worm. This is very much like the Heljestrand idea. However, Heljestrand was quite many years prior to Slöör. Other manufacturers were later to rely on the same principles as Slöör. The most prominent is probably Hatfield who made a very similar corkscrew but with better quality and performance. The Slöör design is very clever and in fact the corkscrew will work. The inner slot of a Qvarnström / Slöör design terminates in a notch that receives and meets a roller pin from the shaft. The shaft is hereby looked and the cork is withdrawn without releasing the hand from the handle. An innovative design and very user friendly. 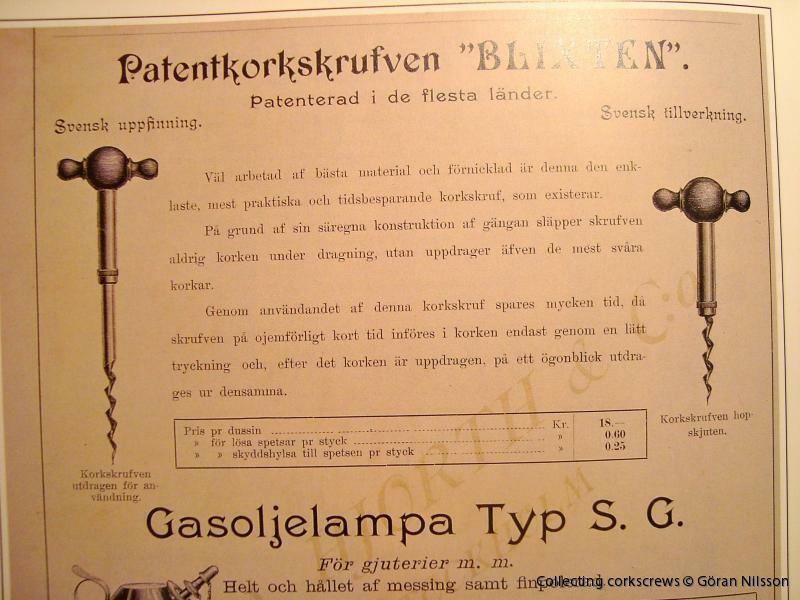 In 1890 Filip Slöör started to manufacture the " lightning " with very aggressive marketing and packaging methods. An offer was made for a purchase of a dozen corkscrews for the price of only 18 Swedish crowns. Worms could also be purchased separately. 18 crowns are about two pounds sterling for twelve corkscrews in those days money value. The "lightning" was profiled as being patented in most countries and superior to most other corkscrews in the market place. The Julius Slöör company is still operational and has survived changing times by means of mergers and acquisitions. Today the name has changed and does not any longer contain the Slöör name, and the Slöör family is not longer present in the company. Only the old logotype is still used by the present merchant company as remembrance of old times all gone. Presently, the company is one of the largest wholesale appliance distributer companies in Sweden not really known for corkscrews. 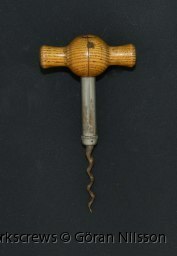 However, at the end of the day, the "lightning" corkscrew is still operational and show even today satisfactory quality and performance as in old times. 100 år i Järn och Stål : Slöör vid Järntorget i Stockholm 1858-1958.